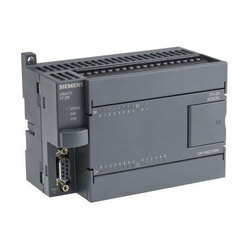 hese Siemens CM 1241 Communication Boards are used for fast, high-performance serial data exchange via point-to-point connections. 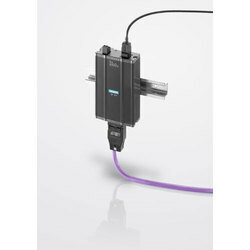 Point-to-point connection is possible to SIMATIC S7 automation systems, and the systems of many other manufacturers including printers, robot controls, modems, scanners and bar code readers, etc. The communication boards are directly plugged into the CPUs, enabling the controller to be expanded without taking up any additional space. This allows users to adapt their controllers even to more complex tasks. If the task is expanded subsequently, the controller can be upgraded. 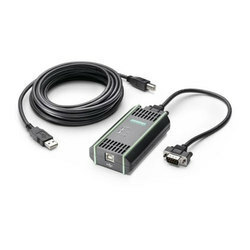 The following standard protocols are available on the CM 1241 communication modules For interfacing to third-party systems with simple transmission protocols, e.g. protocols with start and end characters or with block check characters. The interface handshake signals can be called and controlled via the user program. 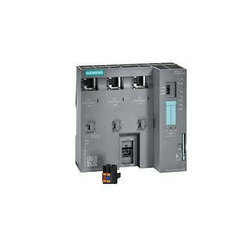 Modbus For communication according to the Modbus protocol with RTU format Modbus master Master-slave interfacing with SIMATIC S7 as master. Modbus slave Master-slave interfacing with SIMATIC S7 as slave; message frame traffic from slave to slave not possible. USS drive protocol Instructions for connection of USS protocol drives are especially supported. In this case, drives exchange data over RS485. 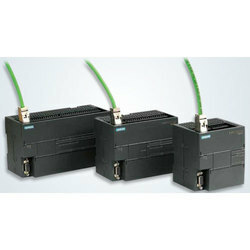 It is then possible to control these drives, and to read and write parameters. Further drivers for downloading are also available. Today, visualization is part of the standard repertoire for most machines. The cost factor plays a crucial role in this case, especially for small machines and simple applications. HMIdevices with basic functions are often fully sufficient for simple applications. 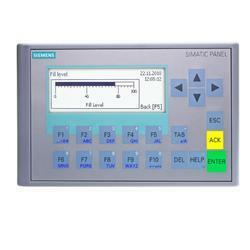 This is exactly the demand that we intend to meet – with our new SIMATIC HMI Basic Panels. By concentrating on the essentials, the Basic Panels offer exactly those basicfeatures that are demanded – at the right price. A perfect cost-to-performance ratio. Like all devices in our product catalog, the new Basic Panels offer proven SIMATIC quality and – regardless of their display dimensions – many software functions as standard: forexample, an alarm system, recipe management, trend functionality and language switching. Users therefore profit from the advantages of visualization, such as improved processquality, even with simple applications. Number of DP slaves operable with a DP master: Maximum 16 For the constellation STEP 7 V11.0 and CPU firmware V2.0, resources are available for a maximum 16 DP slaves in total per station. 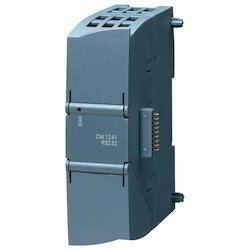 The maximum number of operable DP slaves is reduced by the following modules or nodes: – CM 1242-5 slave modules plugged into the station of the DP Master – PROFINET IO devices connected to the station of the DP Master Example: Apart from the DP master module (CM 1243-5), there are two further DP slave modules (CM 1242-5). There are also 5 PROFINET IO devices connected to the CPU. In this case, the maximum number of DP slaves that can be operated on the CM 1243-5 is 9 (16 -2 -5 = 9). Total number of operable slots: Maximum 256 Any distribution of the slots as I slots and Q slots is permitted. The perfect integration of SIMATIC S7-200 SMART, Basic LINE HMI and SINAMICS V20/V90, forms the micro automation solutions that is cost-effective; meeting the OEM customer’s full range of demand. The new S7-200 SMART has two different types of CPU modules, i.e. standard type and compact type. 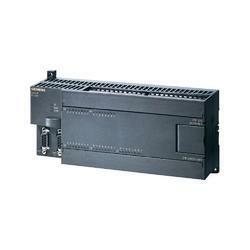 Standard type CPU is expandable with I/O expansion modules and signal boards. 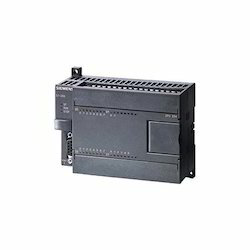 Compact type CPUs are non expandable with I/O expansion modules and signal boards. 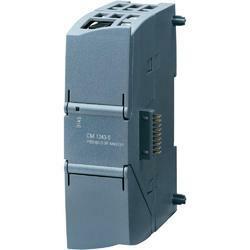 The complete SIMATIC S7-1200 hardware has built-in clip for quick and easy mounting on a standard 35 mm DIN rail. These built-in clip is also extendable. This means, they function as mounting holes for mounting without mounting rail. The SIMATIC S7-1200 hardware can be installed either horizontally or vertically and is absolutely flexible in the installation. 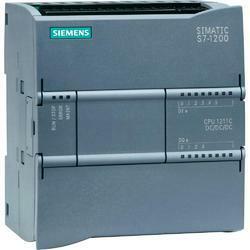 The SIMATIC S7-1200 hardware has been specifically designed to save space in the cabinet. For example, the CPU is only 110 mm wide 1214C , and the CPU 1212C and the CPU 1211C are only 90 mm wide. 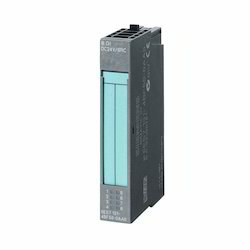 Together with the small communication and signal modules, this modular system saves valuable space and provides maximum efficiency and flexibility in the installation process. 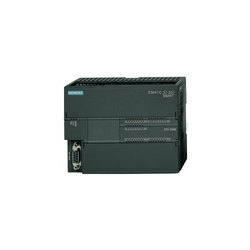 SIMATIC S7-300, Analog output SM 332, isolated, 8 AO, U/I; diagnostics; resolution 11/12 bits, 40-pole, removing and inserting possible with active backplane bus. 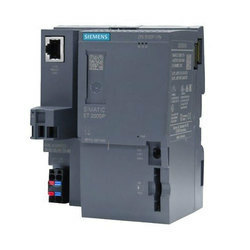 Looking for Siemens PLC ?